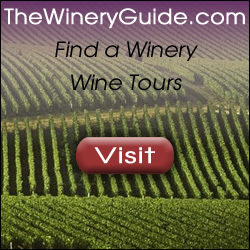 Looking for a classy wine related gift? 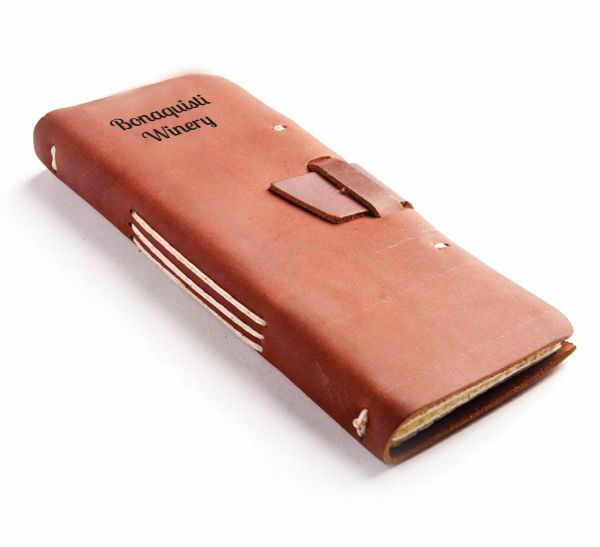 The Wine Log has 96 pages of hand torn parchment pages with a beautiful leather cover. Comes in leather colors of black, dark brown, burgundy, buckskin or saddle. Your logo can be debossed or laser engraved in a 2 x 2 inch area at the top. The spine is hand sewn and sure to be hit for logging favorite wines or a way to track participants at an event or celebration. Great for wine lovers and when you want a high end wine gift for your event, customer thank you gift for holiday season or tradeshow booth. Min is 1 blank at 24.75, 1-250 decorated are 23.33 ea, 251 at 22.87 ea, 501 20.67 ea and 1001 + 18.81 ea. Set up for deboss or laser engraved is 100.00 plus 1.00 run charge per item. Made in USA. Item HS0003.